Le Rustique Camembert and Hazelnut Parcels with Quick Fruit and Honey Chutney. Using ready-made puff pastry means that these delicious Le Rustique Camembert and Hazelnut Parcels are perfect for an easy mid-week family supper, or for a lazy Saturday lunch. Shallots and hazelnuts are gently fried in a little olive oil for a tasty twist to compliment the Camembert; the fruit and honey chutney is the final “pièce de résistance” for these flaky cheese pies, which cuts through the richness of the filling. Le Rustique Camembert and Hazelnut Parcels with Quick Fruit and Honey Chutney recipe and image courtesy of Le Rustique Camembert. 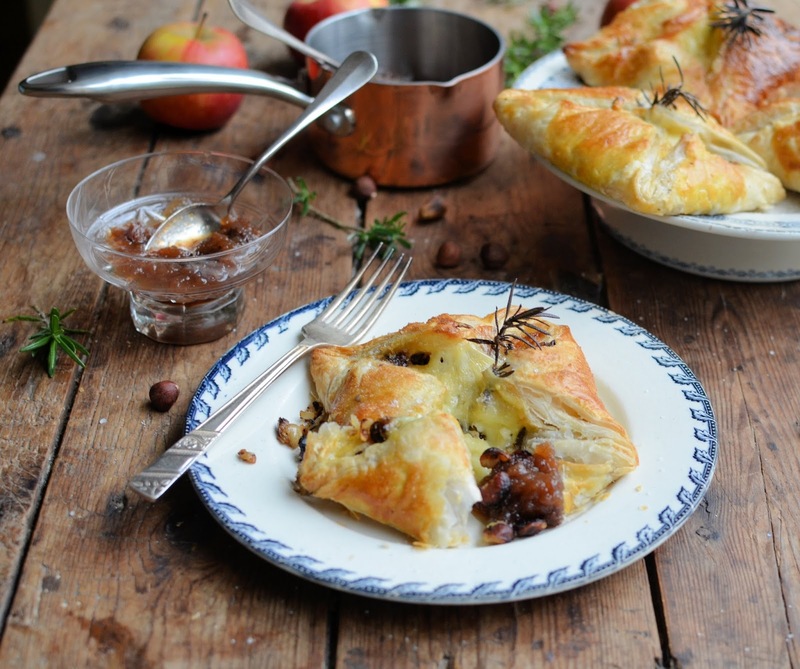 Fancy making some of these Le Rustique Camembert and Hazelnut Parcels with Quick Fruit and Honey Chutney? Le Rustique Camembert, Fig and Basil Sourdough Toastie anyone? How To Make Fried Le Rustique Camembert Pieces and Nettle Pesto. Filo Baked Le Rustique Camembert with Honey’d Pecans. "How To Make A Tuna Nicoise Wrap"
I love puff pastry !! This sounds so good!